If you need to keep an eye on someone without them getting an eye on you try using surveillance spy cameras. Actually, these cameras not only allow you to keep an eye on someone but also something like a pet, a house, a boat or some other type of property. What exactly is a surveillance spy camera? Typically, a surveillance spy camera is a special type of digital video security and surveillance camera. A digital video security camera usually has one of three different shapes. Box cameras look like rectangular box shapes and are typically mounted on walls, posts, and other areas. 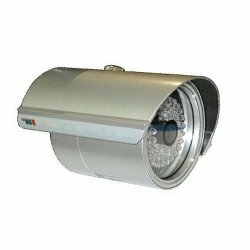 Bullet cameras resemble box cameras but have rounded ends, hence the name “bullet.” Dome cameras are normally flush mounted on a ceiling or wall and have a small protective bubble or dome that covers the camera. The presence of these cameras is somewhat obvious and their usually is no attempt to hide or disguise them. Surveillance spy cameras on the other hand are digital video cameras that are much smaller, so small in fact that they are often hidden or disguised as other objects. They may contain their own Digital Video Recorder or DVR and power supply and be an entire standalone system, or they may require an external power supply and be incorporated into an entire digital video security system that has both hidden and visible cameras, a standalone DVR with a Digital Signal Processor or DSP, and a monitor. How can surveillance spy cameras be so small? 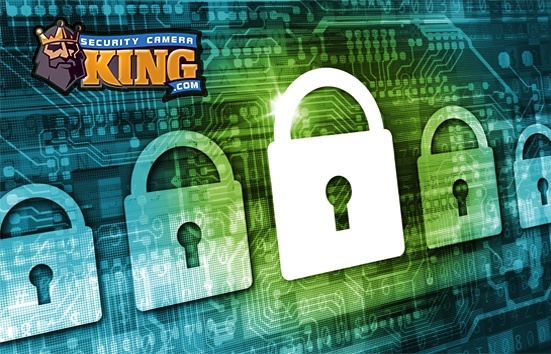 Let’s look at how a full-size digital video security camera works then will look take a look at a surveillance spy camera. Digital video cameras have three main components within the camera; the lens, a sensor chip, and the electronic circuitry used to operate the sensor chip and convert its information into digital data (a series of 1s and 0s). The lens is a highly machined mechanically functioning glass (or plastic) that focuses the cameras field of view onto the sensor chip. Generally, the higher quality and type of lens, the higher quality of the video produced. Lenses determine how far, how wide, and how detailed the target area will appear. There are two types of sensor chips, a Charged Coupled Device or CCD and a Complimentary Metal Oxide Semiconductor or CMOS. These two chips work a little differently but accomplish the same objective, transferring light energy into electrical energy. These chips are usually square or at least rectangular in shape and usually range from 1/4 inch to 1 inch in size. Electronic circuitry is used to interpret the chip, read its information, and convert it from an analog signal into digital data. The electronic circuitry may also provide other functions such as audio recording and movement of different camera parts. Surveillance spy cameras contain the same components but the components are designed to be very, very small while still performing the needed task. For example, most of these cameras are extremely small. Their lens is not a full size variable lens but is a very small wide angle lens instead. This eliminates the need for a large lens attachment. Secondly, surveillance spy cameras usually use one of two sizes for their CCDs or CMOSs, 1/4 inch or 1/3 inch. The incredibly small sizes of these sensor chips allows them to be used (hidden or disguised) in very small objects such as ink pens (see Security Camera King’s product # HC-PEN for example) or wristwatches (see our product # HC-Watch). Finally, with the latest improvements in Integrated Circuit (IC) chip technology, incredibly complex circuits can be made in circuit chips that are only 1/4 inch in size also. For example, the electronic circuitry needed to activate and read the sensor, convert the information into digital data, and transmit it wirelessly to a corresponding receiver can be fit with a IC chip less than an inch in size. In addition, surveillance spy cameras can also have their own miniature DVR in the form of a small memory chip. As computer memory technology advances, these chips become smaller yet hold more data. The data on the memory chip can be downloaded to a personal computer using a USB cord.